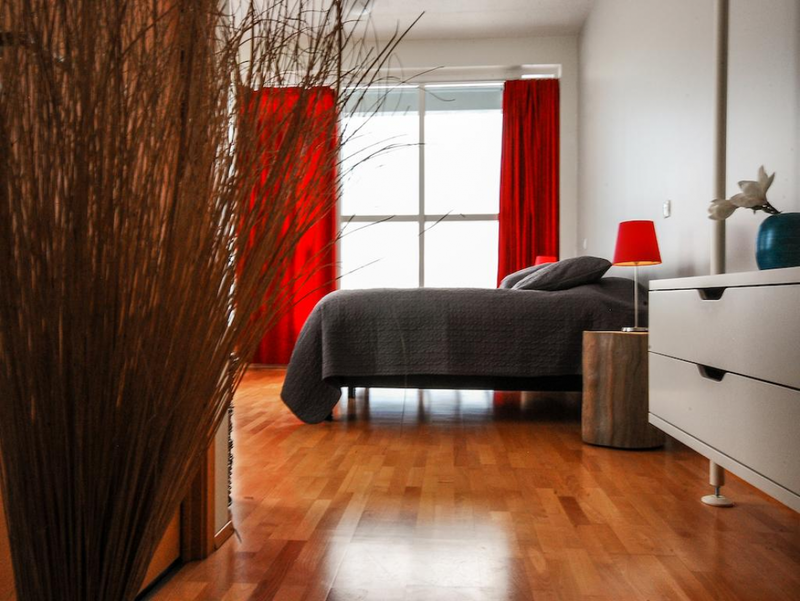 Our standard rooms can be arranged as twin/double or single rooms. They are very cozy so you can perfectly rest after an active day. Rooms are modernly designed with either wooden beech floor or black sand floor made from the stones from the black beaches of the area. All rooms are equipped with Flat TV screen (5 channels) on the walls against the beds for your comfort, free WiFi, an open wardrobe, chairs and night tables. Private bathrooms are also equipped with hair dryer, fluffy towels, shampoo and soap. If you would like to have more space this room is for you. Double/Twin room with sofa bed will give you great comfort and cozy atmosphere. This room is also convenient and homely as Tripple room. 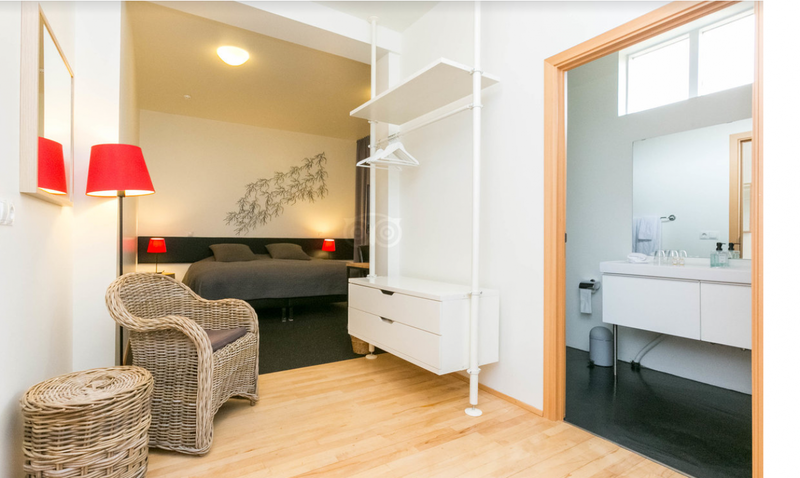 We can arrange it for family that consists of 2 adults and 2 children and still there is plenty of space for toys on the floor :) ​Prices apply to Double Room with sofa for 1, 2 or 3 person. Ask for family configuration possibilities. 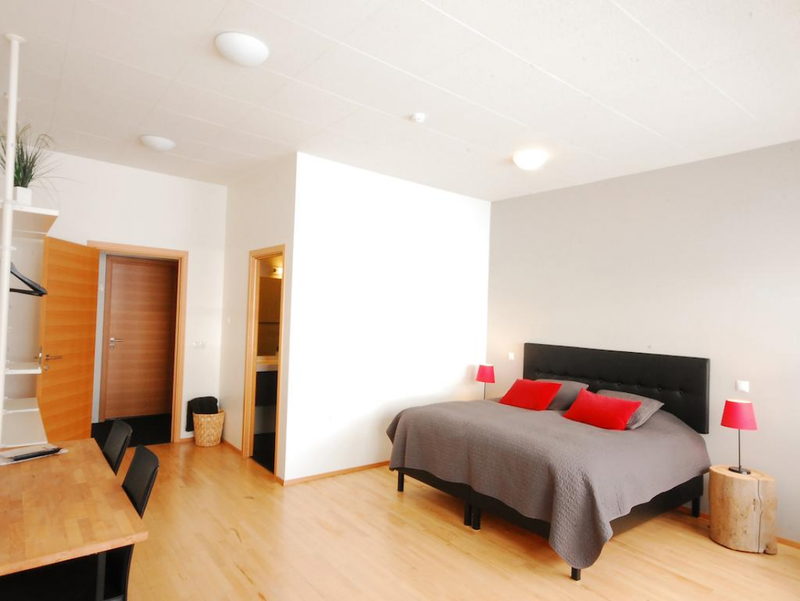 Very homelike and spacious room which can be arranged for two or three people. 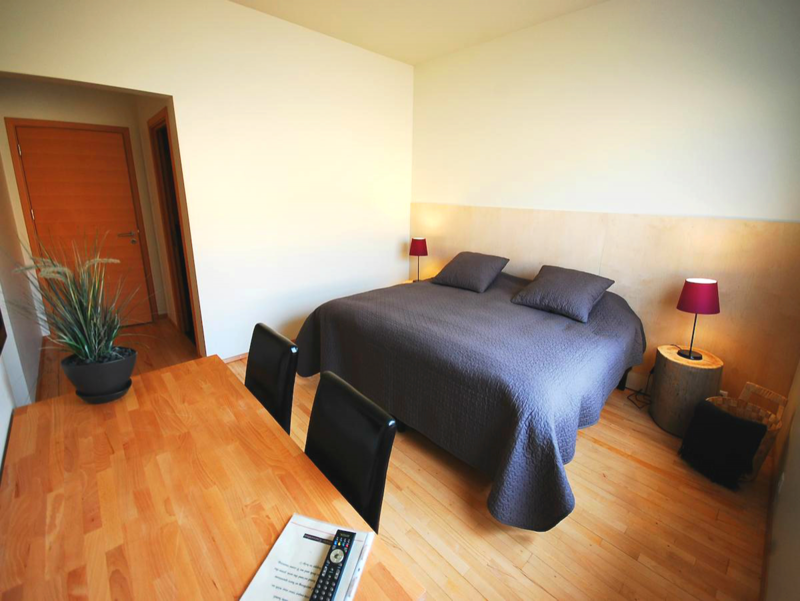 The room consists of either one double bed (or 2 separate beds) and one sofa bed which is wide and comfortable. Night tables are made of natural driftwood, and designed by a local from the village. We take pride in offering rather large bathroom with very comfortable shower. 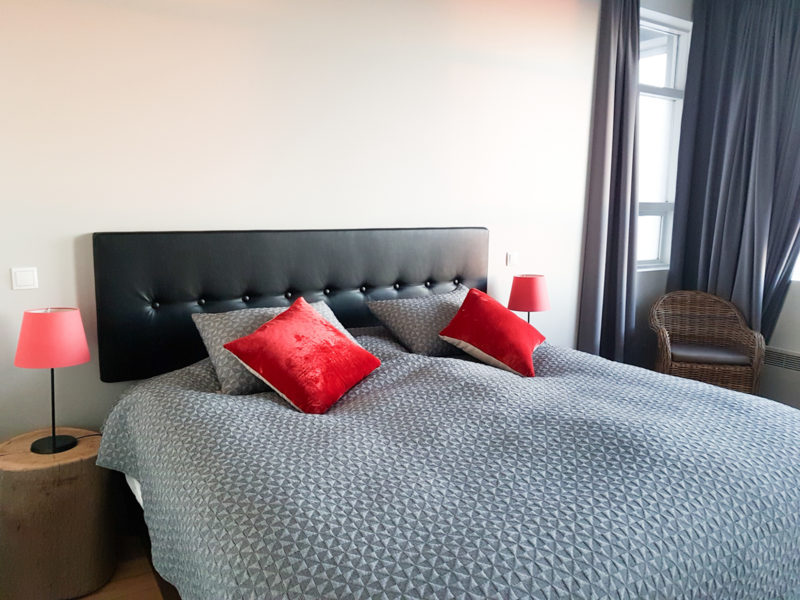 Prices apply to Double Room with sofa for 1, 2 or 3 person. Our best Superior Room with large windows from ground to ceiling, the outside door and private patio. From large front windows you can see the Atlantic ocean in the distance. In this room we can arrange double or twin beds. We can also add 1 extra bed for your kid so it will be nice family room. The largest room in our hotel (35m2) and spacious enough to spin around in Tango if you wish :) In this room you will find king double bed and comfortable bed sofa. From front windows you can see the Atlantic ocean in the distance. In this room we can and 2 extra beds and arrange it for family or 4 adults. Prices apply to Superior Room for 1, 2 or 3 person. Ask for family configuration possibilities.